What makes me so confident, you ask? 2) I got an email from a reader who said she sent the #SpendLoveNotMoney video to her entire family. And they’re on board. Less gifts, less money, more love. If that’s not a true commitment to the spirit of the season, I don’t know what is. So in honor of spending less to spread more joy, I wanted to share with you my favorite lessons from (in my opinion) the 5 best Christmas movies of all time. If there’s one thing Buddy the Elf has taught us, it’s to enjoy the simple pleasures in life. This includes candy, candy canes, candy corn and syrup. He’s also all about spreading the Christmas cheer through smiles and singing. Okay, the Grinch is the worst. This guy stole an entire town’s-worth of presents and then waited for everyone to start crying. But guess what, Grinch? It didn’t matter. None of those presents mattered an ounce, because Christmas is so much more than the presents. It’s about family, love and all-you-can-eat roast beast. 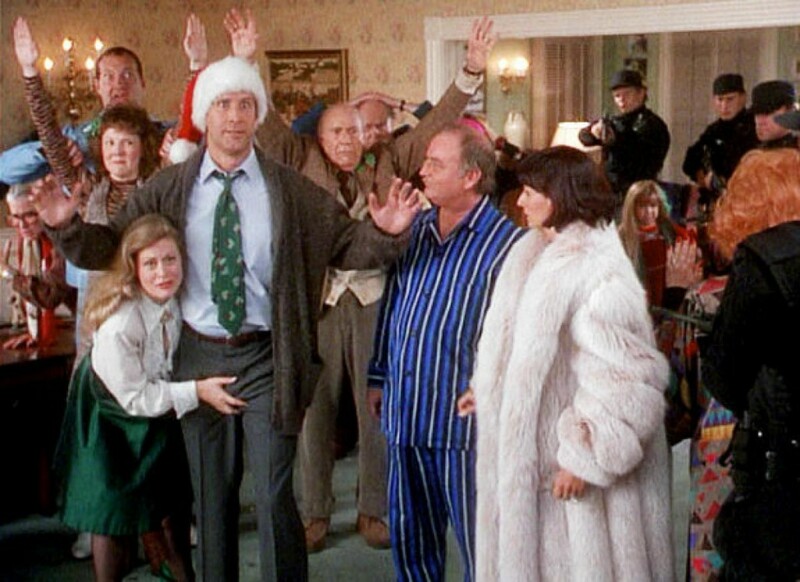 No one gets any more vulgar and real than Clark Griswold. The man’s Christmas tree burned down. He was given a crappy jelly-of-the-month club membership as his annual Christmas bonus. And yet, he manages to rally his family around the true spirit of the holidays…kind of. Somehow Macaulay Culkin survives off mac-and-cheese and convenience store food for a week while he’s home alone. But even more impressive and eye-watering than his food frugality is his request to Santa for the gift that would matter most: his family. So those are my top Christmas movies to get me in the caring, loving Christmas mood. What are your favorite Christmas movies that give you the warm-and-fuzzies this time of year? I love this list and the focus on spending love not money this holiday season. It’s so easy to get wrapped up in “stuff” around this time of year when the most important gifts are people. Such great movies :). I’m all about love, not stuff for the holidays. Also, food. I’m very pro holiday food.